"Sometimes criteria that appear to be based on "merit" have troubling consequences" - What other criteria is there? Should we judge based on gender as well? While I think your hypothesis would be true, the underlying problem that needs to be fixed is the low percentage of female readers/users on Hacker news, not the policy on comments itself (which, IMHO, should be judged only based on quality, and nothing else). We should acknowledge that any idea of merit we come up with is imperfect, probably biased, and not nuanced enough to account for the real world. I'm not commenting on the "real problem" here -- just pointing out that decisions can have weird effects. And we shouldn't kid ourselves that the opinions of users with karma >1000 = "quality". It's one metric. There are many others. You are giving too much credit to hacker news. Stop giving any thought other than disgust to a site that thinks you can engineer a healthy community, and that there is anything worthwhile about silicon valley. Engineering a healthy community is entirely possible, look at MetaFilter for example. There's a pretty significant body of research on this subject, cf. danah boyd; the issue seems to be more with how pg approaches this knowledge. 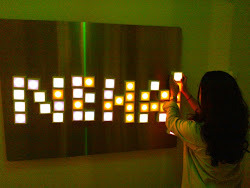 Hi Neha - interesting observations. There was a lot of debate on the HN community about how people with low karma who only occasionally have valuable insight will not longer be able to contribute. From what I understood, PG was going to start the settings so low that the effect would be that HN would remain essentially unchanged, and then gradually increase them over time and see how the transition went. I'm not sure about females in particular being disenfranchised. I think this is true for pretty much any minority on HN (nerdy Australian Indians will be disenfranchised too! :). It would be interesting to see if your observation about the higher karma echelons being even more male dominated is true. E.g., if HN readership was 5% female, and among folks with karma above 1000points there were only e.g., 1% females, that would be an interesting observation. But that observation itself would be reflective of lower participation of females in HN discussion in general. Yes, my statement probably applies to many other minorities on Hacker News, and you are free to bring them up. I bring up the women one because many people have said Hacker News can be hostile towards women. I haven't heard the same for Australian Indians, but who knows. The real point I am trying to make does assume you think it's probably not ok for that statement to be true. If you don't want a website where men have to approve women's votes for them to appear (regardless of participation percentages/quality/etc), then maybe you should think twice about this particular metric. Improving quality of discussion is a worthwhile goal! But are you willing to do it using this metric, when it might make it harder for people to talk about controversial, minority-held opinions without getting voted down? Karma >1000 is a pretty stupid metric. There are infinitely many others which can prevent HN from turning into youtube (also see https://twitter.com/neha/status/447402956477173761). I bet if pg thought about it he could come up with something a lot better. I just wish people thought about these things more. Yeah I agree about the Karma thing. I think it's quite a blunt instrument. It seems that you think that this will particularly harm the ability of women to contribute on HN; I'm not sure I agree with that but it might be true. The thing that worried me most is that there might be discussion on a less prominent threads/topics where there are just fewer people who care to be moderators, and on those threads there might be valuable comments that just die from neglect. I feel like a system of punishing people for bad behaviour might be more of the scalpel to PG's sledge hammer. But then the problem becomes one of whack-a-mole. I honestly don't know what the best answer is to improve the quality of discussion. Stackoverflow seems to have done a good job of it. Certainly some combination of karma and identity is important. MetaFilter isn't engineered, though? It's explicitly moderated by humans and not by the voting system.